← Attack of the B Teams! Team Announcement… Tiger Bay and Central City! Attack of the B Teams! 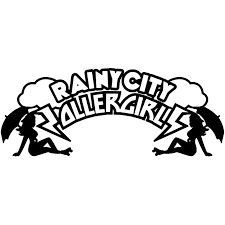 Team Announcement – Rainy City Rollergirls! We are pleased to announce that Rainy’s Tender Hooligans will be stepping up to the challenge and joining us on the 31st to battle it out for the title in…. Attack of the B Teams! 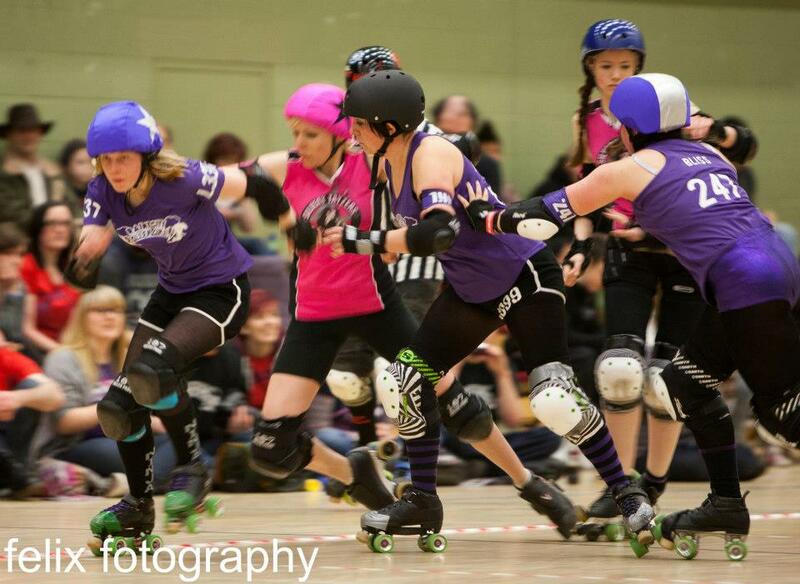 Rainy City are a household name in UK and European roller derby rankings. The ladies from Manchester have harvested some excellent results over the year across all 3 of their teams. In their trademark purple and white they skate far and wide pushing the boundaries of European Roller Derby and representing their city with pride. Rainy City Rollergirls consists of the ‘All-stars’ (A), ‘Tender Hooligans’ (B) and ‘The Bet Lynch Mob’ (C). We have had a steady year, playing increasingly more challenging opponents as we grow together as a team. Most recently we have played Auld Reekies b team. We are the “feeder” team into the travel team which means that we are lucky enough to have several of our members train at a higher level and bring that back to the team, including some training with ex Gotham superstar Mick Swagger. Listening to cheesy music whilst the rest of the team listen to metal! Any/all of the Rocky movies. Tiger bay to get a measure of them pre sur5al and Batter C because who doesn’t want to play them! She Ra because not only is she powerful and fast but in that outfit I think she would distract the opposition!